For the most part, Rosemaryn is friendly and eager to meet new people. Her nature tends to be carefree and fun, but she is very resourceful and quick-minded when she needs to be. Rosemaryn is also known to be very blunt and open about her opinions and beliefs. 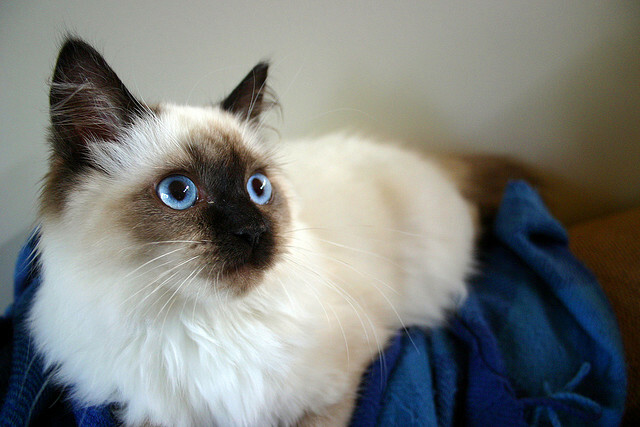 Pashmina  Rosemaryns ragdoll cat she has had for three years. Rosemaryn is in the process of trying to talk her parents into getting her a puppy, or an owl, but has had no success thus far. Theres a bakery near her home in Balclutha called Rise and Roll that she visits very frequently. The staff see her so often that they know her order by heart. In her opinion, they have the best cinnamon buns in the entire world. Rosemaryn doesnt really have any friends, she does occasionally hang around some of the muggle children who live nearby, but out of discomfort of her magical and vela heritage, she avoids becoming too close to them out of fear of being shunned if discovered. Rosemaryn doesnt really have any ambitions, except to not get detention her first year at Hogwarts if at all possible. Rosemaryn currently would like to be a Healer like her mother was, but she has also considered opening her own sweets shop too. It depends on the mood. The panda is a resourceful animal, and those with it as a patronus are the same. They are good at using whatever is around them, and incredibly creative and bright. They are friendly and warm, and many may go to them for advice or help, which the panda will willingly give. They are a bit of a healer by nature, enjoying company around them and using it to enhance themselves. They love to explore many areas of knowledge and the world, trying to broaden their horizons and keep their minds open. They can be very spiritual people, but will not push their views on others, as they are comfortable with whatever a person chooses to believe. The most common house for a panda patronus is Ravenclaw, the most common signs are Pisces and Cancer. I never write in diaries, they leave trails for the curious to follow.